Sleepy Tom and Lights dropped a new music video—plus, don’t miss Judah & The Lion on Jimmy Kimmel Live! Check out the news you might have missed today below! Proud to partner with @caduceuscellars, @officialFYE, Heavy Tiki, @TheMusicXP and Island Noodles during Sonic Temple Festival! Sonic Temple Art + Music Festival expanded its food and drink offerings, as well as enhanced festival experiences. The festival already boasted a stacked lineup featuring Foo Fighters, System Of A Down and Bring Me The Horizon, among others. You can check out the full lineup and grab your tickets here. 2. Judah & The Lion to perform on Jimmy Kimmel Live! Request your tickets now to see @judahandthelion perform live at @Jimmykimmellive #concertseries! Judah & The Lion are set to play their popular single “Over My Head” on Jimmy Kimmel Live! tonight. The performance begins at 11:35 ET on ABC. The band hit the road for a long international and U.S. tour in May, with tickets available here and dates below. 09/05 – Columbus, OH @ Express Live! Sleepy Tom and Lights blurred the line between lyric and music videos in their new visuals for their recent collab, “Amateurs.” Lights hits the road for a string of U.K. dates in May, with tickets available here and dates below. Catfish And The Bottlemen dropped “2all” with an accompanying music video, the third single off their upcoming album, The Balance. The new album is set to release April 26, with preorders available here. The band continue their North American tour in San Diego tonight, with tickets available here and dates below. 04/02 – Columbus, OH @ Express Live! K.Flay dropped her infectious new single, “Bad Vibes” earlier this month, and now its getting an epic new video. The two-time Grammy nominee teamed up with director Lorraine Nicholson and You actress Kathryn Gallagher to capture the feeling of breaking free from that negative psyche. 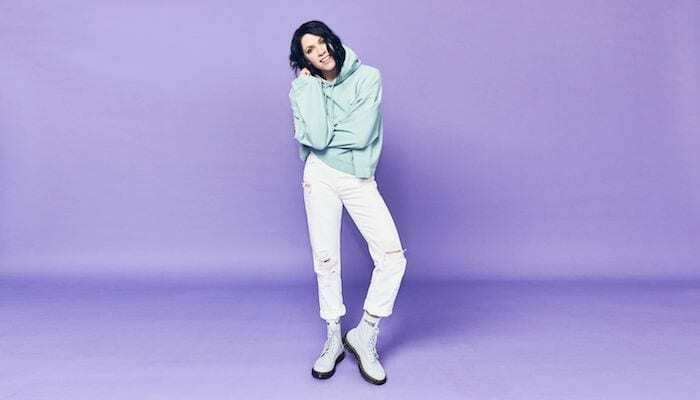 K.Flay was recently announced for LOVELOUD festival and has a string of other dates here.